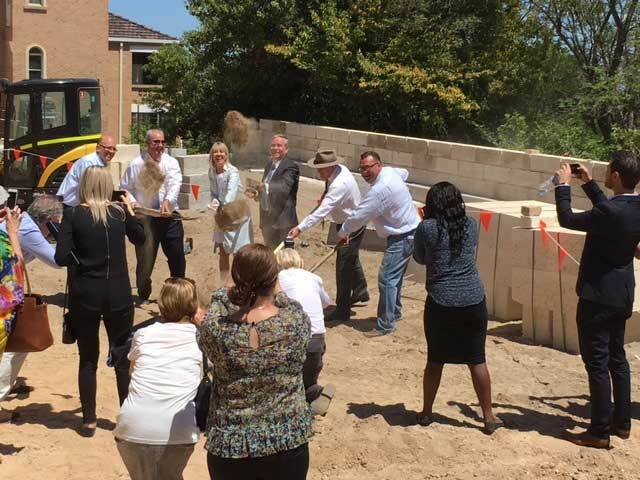 On the 12th of February, 2016, Premier Colin Barnett was on hand to turn the soil at the site of the future Esther Foundation accommodation and administration building at 75 Kalamunda Road, Kalamunda. The event was an acknowledgement of all the hard work the Esther Foundation has provided, and the resounding belief of all those involved that empowering the young women in our community and helping them to lead successful lives is a project that we should all get behind. The Esther Foundation is a charitable, non-profit organisation that provides a safe, structured, and supportive residential environment for young women who seek to overcome life-controlling struggles. The foundation's award-winning recovery program offers education in health, development and leadership. It also provides enrichment and support so that the young women they work with can emerge with self-worth, life skills, and the confidence needed to reach their potential. To date, the Esther Foundation operates 13 residential premises that house more than forty-five young mothers, young women, and children. The foundation is not government funded. Evoke Living Homes is pleased to note that, after more than two years of working with Community Housing Limited (Victoria), construction of the Esther Foundation Kalamunda facility commenced on the 1st of November, 2016. We also wish to thank the Department of Housing (WA), Lotteries West, and the State Government for their work in making this project a reality for the young women it will serve. Check back here for more updates on the project. To learn more about the Esther Foundation, its programs, and how you can help, visit the foundation website.